BB Give us an introduction to the world of Pages & Co.
AJ Pages & Co is set in a world where the magic of books and reading is made literal. We talk so much about books being portals, or magical, or losing yourself in a book, that I wanted to write something where that was literally true. In a more day-to-day sense, the book is set in my idea of a perfect bookshop - pulled together from all my favourite bookshops, real life and fictional - which is run by Archie and Elsie Pages, who live there with their granddaughter, Tilly. BB Clearly you could not have written this story without still being in love with children's books. But can deep knowledge of books be daunting as well as inspiring when it comes to writing your own? AJ Definitely! I pull from several children's classics and I absolutely had some moments where I felt like I just wasn't going to get away with it. 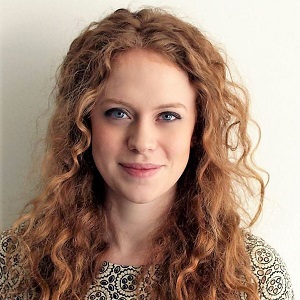 Writing in the voices of beloved characters was a little bit terrifying, but once I started I realised that these are characters that are part of me, that I know so well, and it ended up being a joy once I got over that initial terror. I hope that other readers of those books recognise the characters they grew up with in my versions of them, and feel I've done them justice! I'm also just hyper aware of how many other books are out there, and does the world need another one?! I used to get asked if I wrote fiction for years when I worked as a journalist, but I never seriously sat down to write a book until this specific idea came to me, and I knew I had to have a go. BB Like many young, voracious readers, you relied on local libraries. In an era of cuts, do you think that young people may miss out on the experiences you enjoyed? AJ I was so fortunate to have a small but often open public library and well cared for school libraries at my disposal, and I honestly dread to think what I would have done without them. I absolutely think that many young people are missing out on that access to free, diverse books. Libraries bring two wonderful, opposite experiences that are vital to building readers: first, the serendipitous way you stumble across books in libraries just for want of something to read; and second, when you're lucky enough to have a librarian who gets to know you and your taste and can recommend things - I found many of the books that made me through both of those channels. Libraries are so easy to close, but so hard to open again, and we should be fighting their cuts every step of the way. I was so inspired to see the girl and her family who took Northamptonshire council to the high court to stop the library closures there. BB And of course a bookshop is at the heart of your story. Pages & Co is a celebration of bookselling; might it also be a warning about what we could lose? AJ Yes absolutely, and this is a theme that only grows throughout the rest of the series. Bookshops are important for many of the reasons that libraries are, not to mention the broader importance of protecting independent businesses on the high street. It seemed like we were going through a dark patch with so many indies closing, but it feels like those we have left are really rising to the challenge, so I'm hopeful. Much like a good librarian, a bookseller can just open the world up for young readers (and older readers of course!). 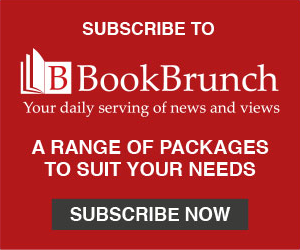 BB As an industry insider, how have you found the experience of being published? AJ At times it's been really helpful to have a feel for the process already; to know a bit about advances, and foreign rights, and timescales, but it's also been too easy to overthink everything and compare your book's experience to books you've seen do well, and that way madness lies. I'm also very fortunate to have people I've worked with in the industry who have been so kind and supportive of the book, which means a lot as it's so hard to get any time for one book when so many are published. It's a blessing and a curse I think! 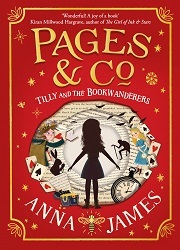 Pages & Co: Tilly and the Bookwanderers by Anna James comes from HarperCollins Children's Books on 18 September.